Here's a fun gift for everyone that still enjoys reading an old fashioned book that has real pages! 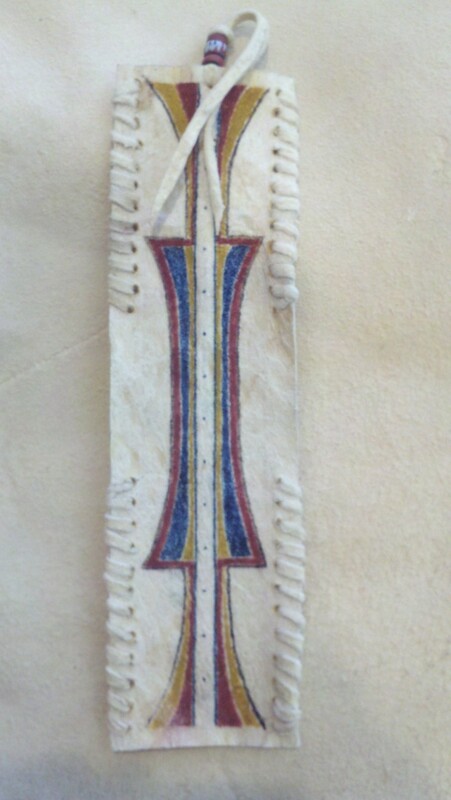 A hand painted bookmark using traditional methods and materials on brain tanned elk parfleche. Each bookmark is painted using earth pigments mixed with egg whites and sharpened sticks for brushes. Each item is signed by the artist Keri DeWitt. Items may vary from what is shown based on the character of the parfleche, mixture of paint, and patterns chosen by the artist. 8"x 2".